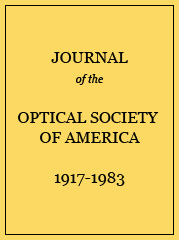 A systematic study of the precision required and of the errors committed in testing parabolic mirrors by the longitudinal aberration and by the transversal aberration methods is made, showing that these methods do not possess in general the necessary accuracy of a hundredth of a wave-length per zone. A new method is developed, which consists in determining the caustic or line of the centers of curvature of the surface elements. With this method, a precision of better than a hundredth of a wave-length per zone can easily be obtained. The zones can be comparatively wide. Secondary zones and surface detail can be detected just as well, or even better than by using a plane mirror in conjunction with the parabolic. The use of master flats is thus superfluous. The experimental procedure is explained and results of actual tests are given. By using a thin wire instead of a knife-edge systematic errors are avoided and higher precision is obtained. The caustic method can be applied to the quantitative test of convex surfaces, like Cassegrain mirrors, to the determination of astigmatism, to the study of single lenses, lens systems, Schmidt correcting plates, etc. Its accuracy does not depend on the value of the aberrations, so that surfaces departing considerably from a sphere can be tested just as well as spherical surfaces. It will thus be possible to figure such surfaces with high precision. Numerical values of the tolerances in the appreciation of the zonal radius for the longitudinal aberration, transversal aberration and caustic method, breadth of the zones, screw tolerance and width of the diffraction images for different values of the relative aperture m, the half-diameter r and the radius of curvature R.
Numerical calculation of the curve of shape of an m=3 parabolic mirror of 15 cm diameter using the simplified caustic method. The last column gives the results of a measurement of the same mirror by the longitudinal aberration method. cm 10−3 cm 10−4 cm 10−4 cm 10−4 cm 10−4 cm λ/100 λ/100 long. aberr.